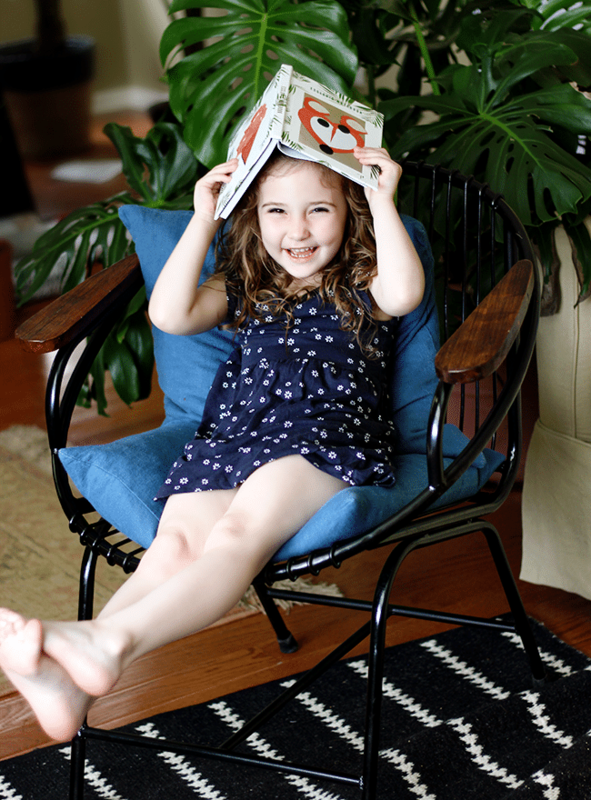 Reflect on the fun the kids have had this school year with personalised gifts, home decor and books. They make great keepsakes to celebrate their highlights and achievements. 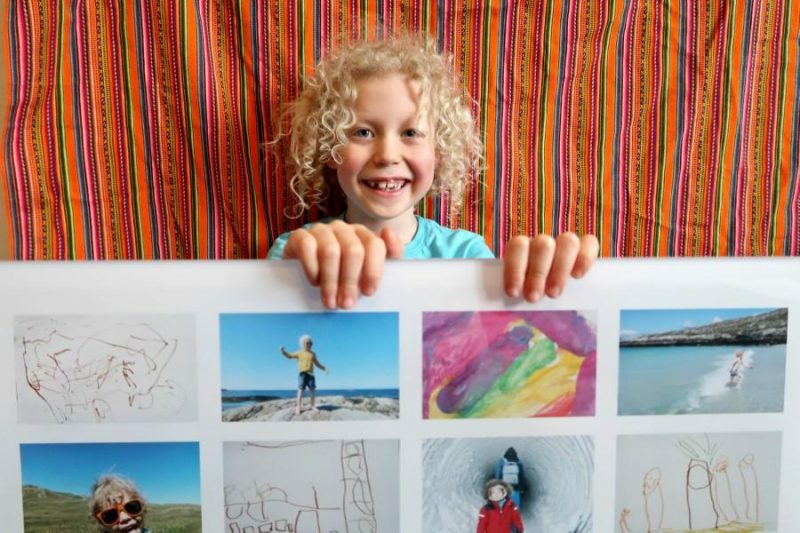 We’ve teamed up with some creative bloggers to share how they’ve used Snapfish products to showcase their kids art. Melissa created gorgeous notebooks, mugs and cushions with Essley’s art work. 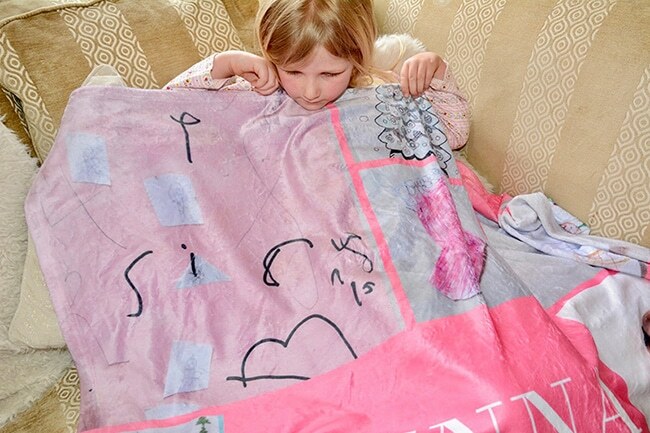 “I turned her favorite school art projects from the year into practical gifts to give her to celebrate the end of the school year and all of her achievements? I mean, what a cool way to allow her (and us!) to enjoy her artwork in a practical way, and to create tangible memories of a wonderful school year. Jenny from Monkey and Mouse mix and matched drawings and photos from their field trips through out the school year. “In the acrylic photo I placed 4 photos of each of the boys and 4 pictures of their artwork each. I think it’s a nice reminder of how their art has developed and as the photos are above the kitchen table it will hopefully inspire some more detailed drawings throughout the year to come. 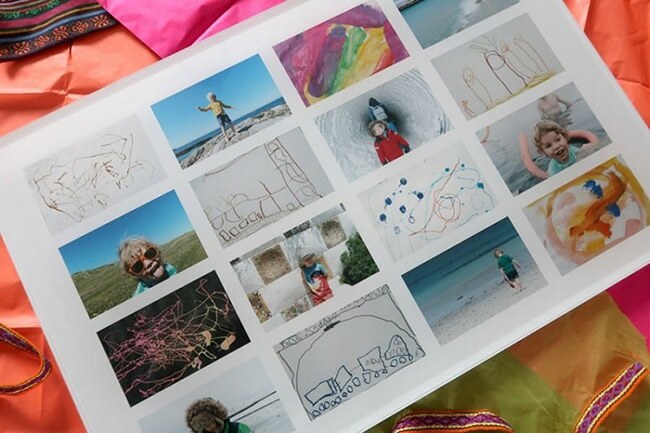 Hayley from Sparkles and Stretchmarks transformed her kids art into a photo book. The photo book highlights her children’s achievements as they navigate through their first term of home education. 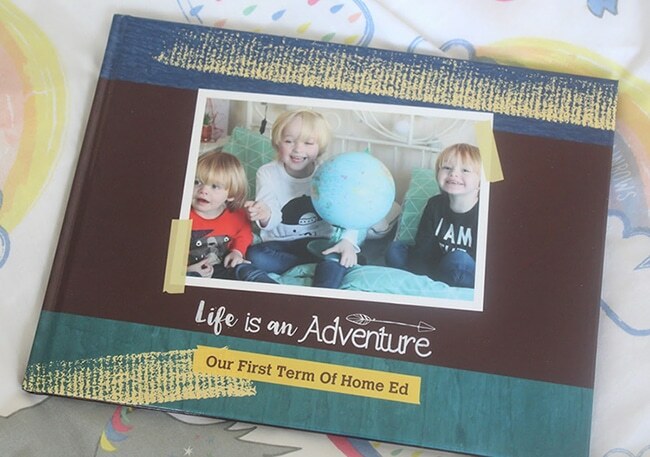 “My original intention was to just create a photo book full of the boys art work, but once I got started using Snapfish’s gorgeous photo book templates I found myself really inspired – and instead I ended up creating a book of memories of our first term of Home Ed. 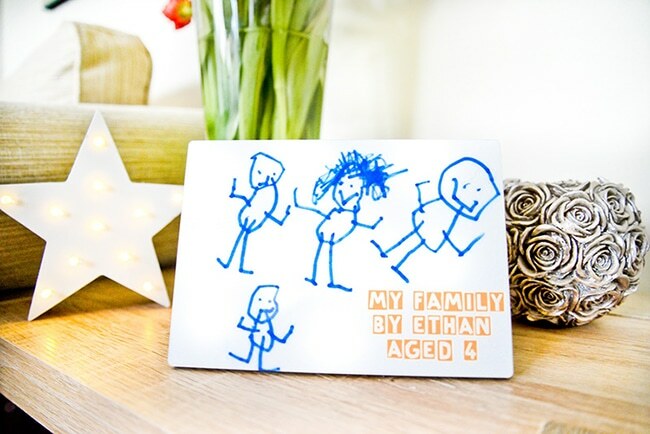 Alex from Bump to Baby turned Ethan’s first family drawing into a tabletop panel they can cherish forever. 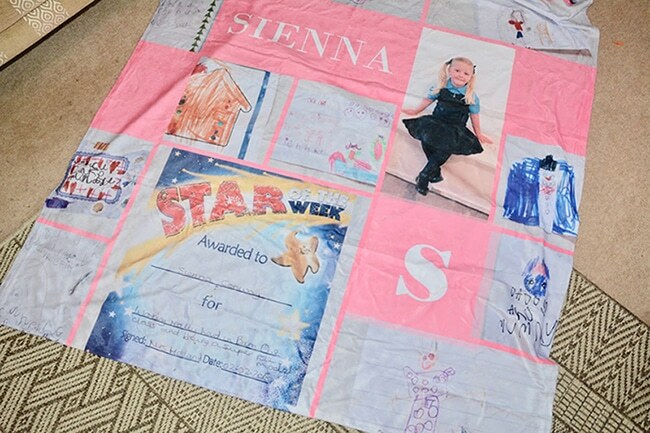 Kerry from Lived With Love turned her daughters drawings, photos and certificates into a personalised blanket. 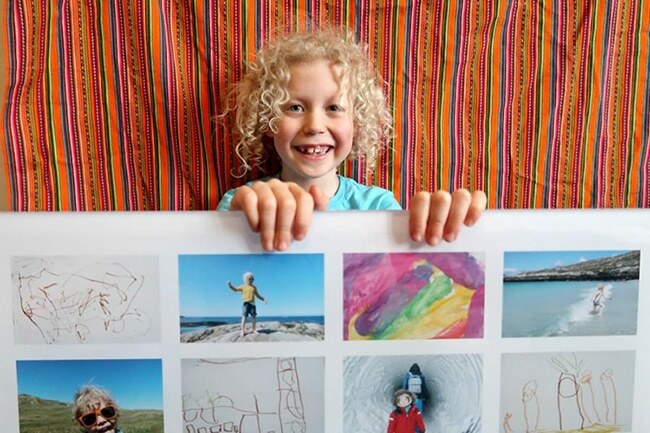 For more inspiration on what to do with your kids art, check out our post on transforming kids art into poster prints. 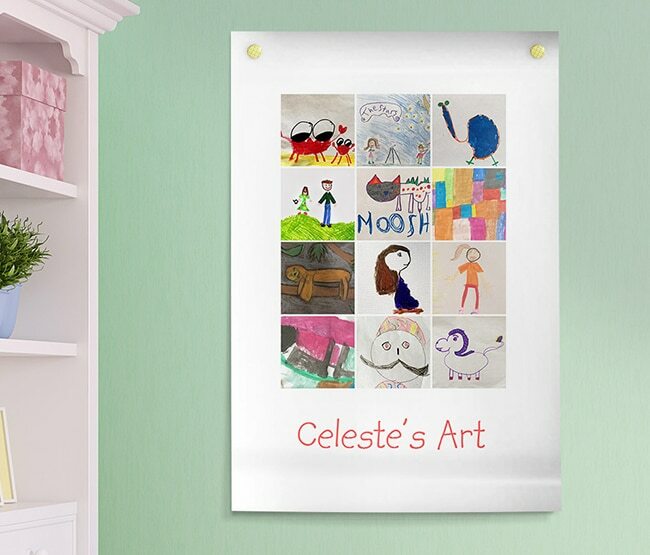 Tagged as inspiration, Keepsakes, kids art, personalised gifts, School year.